What nobody imagined (a disposable Disney show going bigger than it’s time slot) happened faster than most people thought it could. 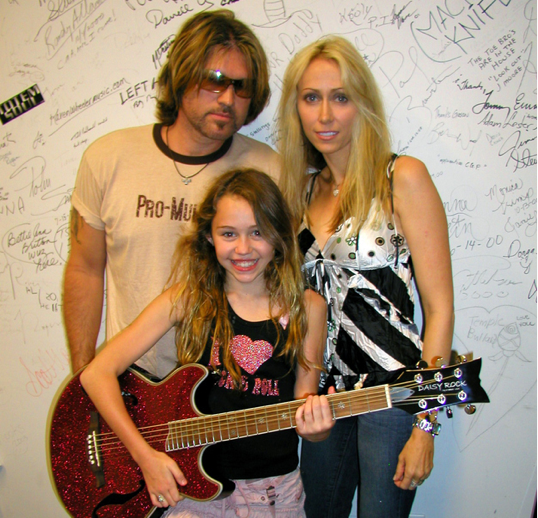 Back then the vocalized concerns over Miley’s astronomical rise were usually squelched by folks who assured us that her dad had “been a star before” and could “keep his eye on her”. The plan seemed to be that she would do what Dad told her to do. What no one seemed to anticipate, or prepare against, was Miley’s decision to create a her own path to stardom. It was one that would quickly lead away from promise rings and church choirs and spill out into the strange, bong-smoked haze that was 2013. At some point during her Disney grooming, Miley stopped doing what was planned for her and started doing what she felt like. By her own admission, trouble started for Miley when there were still people around who were responsible for making sure that she was being cared for. Whether or not her parents were keeping an eye on her, a pot video on the internet is definitely a red flag to an entire industry that your teen idol is drowning in their own success. Unfortunately, nobody in charge stopped production on the singing and dancing because it was a cash machine that no one was willing to step away from. It’s a lot like being on the teacups at Disneyland and raising your hand because you’re feeling sick, but the ride operator speeds it up because they need the people in line to see how fun the ride is. While it is easy, and mostly appropriate, to blame Miley for making dangerous choices, it’s important keep in mind that we all leave established paths when we lose faith in their ability to deliver us safely to our desired destination. When we fail to see how following a path will get us what we hope for, or we lose faith in the people who set the path for us, don’t we break rank and set out on our own? What assurance should Miley have had that the people responsible for her were more concerned for her well-being than their own bottom line? Doesn’t the human instinct for self-preservation, working in conjunction with the rejective consequences of betrayal, virtually guarantee the type of behavior we see not only in Miley Cyrus but in most embittered child stars? Whether you think she’s exploiting a system that exploits her, or agree with her outrageous take on liberated young adulthood, you can’t look at a picture of Miley Cyrus today and see the excited anticipation of a hope-filled 11 year-old anymore. You just can’t see joy or peace. When we begin using kids to meet our needs or fulfill our dreams we actually leave them exposed to their own whims, and the exploitation of others. Adults have a moral imperative to work for the well-being of children. This goes far beyond providing, or being nice, and extends into protecting and guiding them into what what’s best for THEM. This means that we don’t simply think in terms of what we offer children, but also in terms of limiting exposure and removing the things from their life that lead to corruption. Ten years ago everybody was excited to see what would become of little Destiny Hope Cyrus. It seems she became someone known as Miley, the pop star with a secret life as a broken-hearted schoolgirl. …and our whirling media machine made sure it covered all of Fantasyland. She is a sad soul, I saw part of her presentation and it sickened me that a) it was acceptable b) my grand daughters could think it would be ok c) she degraded herself and maybe even didn’t know it or care. I am sorry her parents failed her. I am also sorry the system failed her in the name of ‘money’. We do hold responsibility if we allow that to be the ‘normal behavior’ of the 20 something standards.